When I wrote the letter from the editor for the Summer issue, I thought I had a few more weeks of my pregnancy left. As I sat there, with an aching back and swollen feet, feeling fatigued and overwhelmed, I thought to myself, ‘I’m not sure I could do this again’. Pregnancy can take such a toll on a woman. In some ways, second (and I’m sure subsequent) pregnancies can be easier, as you've been through it before. In other ways, they can be a lot more challenging since you already have another little one(s) to tend to. 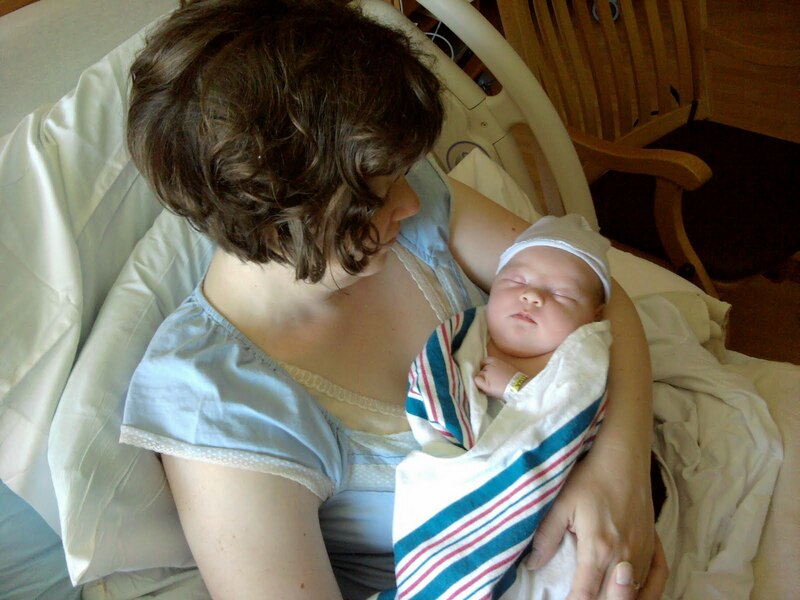 But all of the difficulties are soon forgotten when you are holding your newborn in your arms. Little did I know that I would be doing just that sooner than I had thought. We had all of the essentials ready: car seat installed, check. Bassinet set up, check. Stocked up on diapers and wipes, check. Clothes all washed and neatly folded, check. Physically and emotionally, I was definitely ready. But mentally, I hadn’t quite prepared for the eventuality that the baby could come at any moment. So when my water broke three weeks before the due date, I was in a bit of shock. Many thoughts went racing through my mind...'it can’t be time already’...'do we have everything readyfor baby?’...'she wasn’t supposed to come for three more weeks’. But it didn’t make one bit of difference if I was ready for her arrival or not – she was on her way. Once I got past the initial shock, the only thing I could do was to accept the reality that I was in fact in labor, and take action. We quickly finished packing our bag for the hospital, and dropped my daughter off at a friend’s house for the night. We arrived at the hospital, and just 2 short hours later, I was holding my baby in my arms. There is something so magical about holding your baby for the first time. It’s a feeling that is incomparable to anything else in this world, and something that cannot easily be explained to those who have not experienced it. 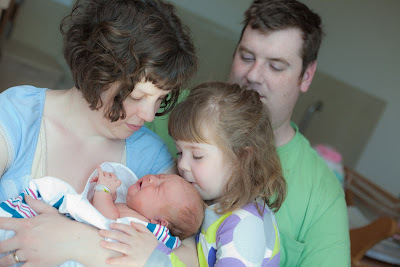 It is especially amazing if you have had a previous birth experience where you were not able to do so, such as I had with my first (she was immediately whisked off to the NICU due to breathing issues, and I was not able to hold her until day 2). So when my second daughter was born healthy and strong, I relished in the fact that I was able to hold her. In fact, I hardly put her down the entire time we were in the hospital! I’m finding that I’m much more at ease becoming a mother the second time around. Although I’m just a few days postpartum, I already feel like I’m settling into motherhood again, and enjoying our new family of four. I feel calm, relaxed, and confident. As I hold my sweet baby girl, I gaze into her tiny eyes, which are filled with so much curiosity and wonder, and those thoughts about not being able to do this again disolve into ‘I definitely think I could do this again’. So will there be more babies in my future? That remains to be seen. For now, I will cherish this time as a mom to two beautiful girls. Congratulations, Shannon! And happy, happy Mother's Day. Times two! My oldest girl just turned 18 and we were browsing through the album of her first photos. All those wonderful feelings you write about came rushing back! Shannon you have a beautiful family. Enjoy your time together. And hey, you didn't have to do all those flower arrangements for mother's day, that's a gift from your daughter in and of itself! :) Congrats!